• I’m just getting started and have a lot of questions. • My business is growing and I need help. 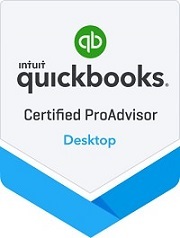 • I prefer to do most of the bookkeeping myself, but need a professional to review my entries and balance my accounts. • Bookkeeping, payroll & taxes stress me out! If you answered yes to any of these questions, please take advantage of our FREE CONSULTATION offer today. Call us at 503-252-9197 to schedule your appointment! We understand that bookkeeping and the paperwork involved in running a business can be stressful and distracting. Our job is to take on those tasks and free up the business owner to focus on what he or she does best – meeting customer needs and growing a successful business. Our commitment is to perform the tasks entrusted to us with professional skill, integrity and accuracy. While our expertise is numbers, we know that every business is unique and no one wants to feel like just a number. That is why we devote ourselves to listening carefully to each client. And why we put special effort into offering each client options and solutions for their specific tax and business challenges. As business people, we know that time is money! The best use of your time and energy is growing your business, satisfying your customers and improving your products and services. Stay focused on what you do best and let The Bookkeeping Company take care of your bookkeeping, handle your payroll & prepare your taxes. As a local, owner-operated company, we are able to offer affordable rates and personalized services. Our goal is to save our clients enough money to cover our fees. The Bookkeeping Company is conveniently located on Portland’s eastside. We are easy to get to via I-205, and have plenty of free parking. Check our map for directions.